A wrap around program for the half day program for Parkway Elementary School. Your child can come before or after the half day kindergarten program or both. Glendale Heights is on the bus route for Parkway Elementary School so your child can get picked up and dropped off at the Center. 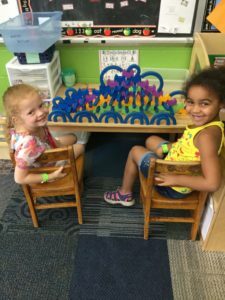 Our degreed teachers ensure that our program aligns with the kindergarten program at Parkway Elementary School – our program supports the skills your child is learning throughout the year. 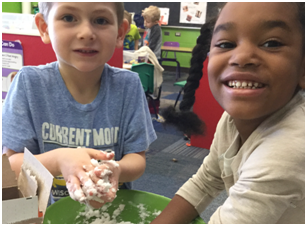 A full or part-time K4 preschool program. If your school district does not offer a K4 program, our degreed teachers will get your child ready for K5. We will not only foster their social/emotional growth but will also develop their writing, reading, language, science and math skills. Our teachers will assess your child’s academic skills and individualize the curriculum to meet their needs. Our small class sizes ensure that your child will receive small group and one on one attention. Let us help you with your K4 wrap around or full day needs.